This inexpensive family favourite is ideal for comforting midweek meals. sauté gently until it looks translucent, about 5 minutes. Add the spring onions and cook for 2 more minutes. frequently, then add about one quarter of the stock with the lemon zest. Stir and simmer gently, add further stock to the rice as needed, to keep it moist. Stir from time to time until it is tender - it will take about 20 - 25 minutes to cook. minutes, then stir through most of the dill, chervil or parsley. Season to taste with salt and pepper and stir well. 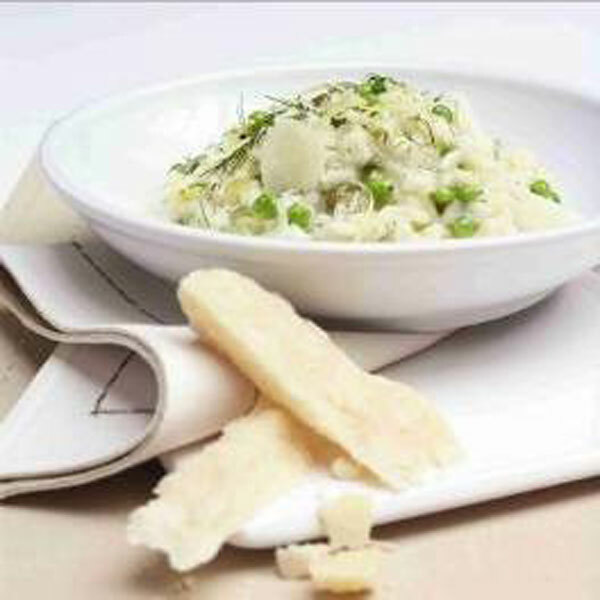 Cook’s tips: A couple of tablespoons of single cream stirred into the risotto just before serving will add extra creaminess. For easy entertaining, this could be topped with roasted cod, sea bass or chicken breasts.